Rainbow Salad | Plan. Shop. Eat. Live. 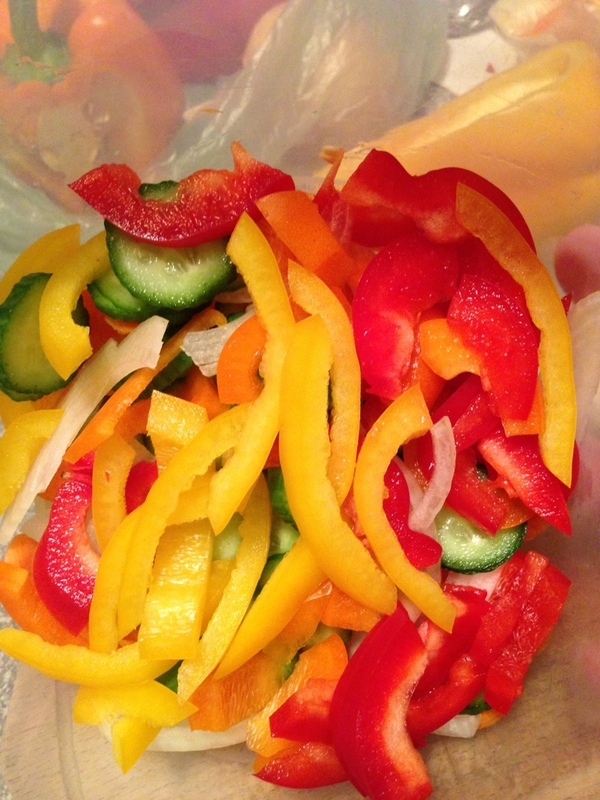 Peppers are in season and add color and flavor to a spinach salad! Here’s a snapshot of today’s lunch. What a pretty display. I love the way that each color of pepper not only looks different but tastes different as well. It’s Monday morning and I must admit defeat with respect to going with the blond coffee. This is one area I have yet to conquer. I have better luck with Morning Thunder tea. I’ve got a bag of nice dark roast in the freezer that is just calling my name. Didn’t Drs John and Lisa say that this is all a continuum? I’m going to stick to that theory. Have a good day full of colorful fruits and veggies.